Fruit Salad is the best gluten-free, vegan and paleo friendly healthy salad recipe bursting with summer flavors. And this best summer fruit salad recipe needs only 20 minutes in the kitchen. Can you believe that? 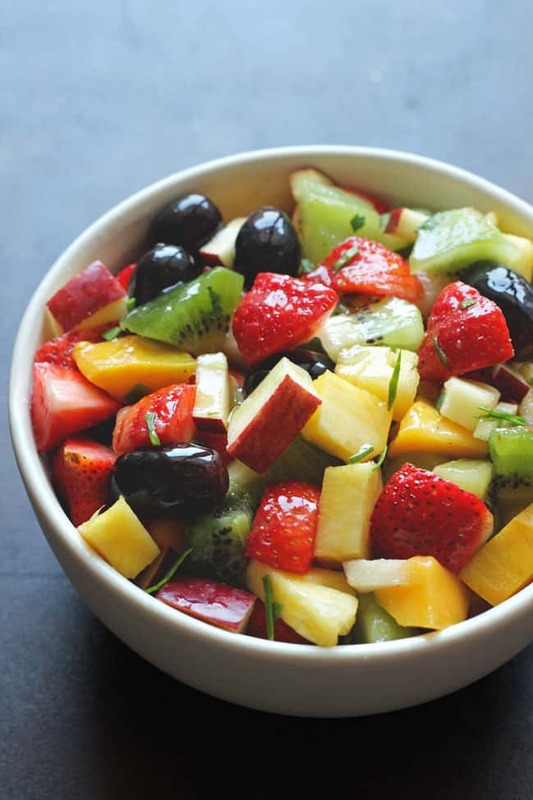 This refreshing rainbow fruit salad requires time only to peel and chop the fruits. And you have a deliciously healthy and colorful snack on the table with a blink of an eye. Healthy Salad Recipes like this one are the bae for the summer season. Not only they are refreshing but surely a treat for the sore eyes. With the spring season approaching the supermarket is loaded with colorful fresh berries, pulpy fruits and few batches of ripe mangoes here and there. Best time of the year to make and enjoy a fresh fruit salad. Aren’t the salads with fruits boring? Not anymore. I will be honest with you earlier I also believed that salads are way too dull for my liking. But not ever since I tried this summer fruit salad recipe at home. These days I am kind of obsessed with fruit salad. Already tried different permutation and the combination of fruits to make my kind of salad. And finally, thankfully I have zeroed down to a healthy and wholesome fruit salad recipe. 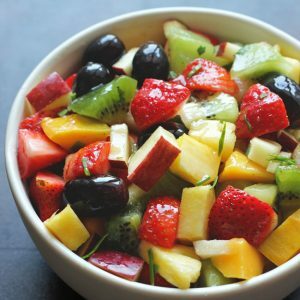 The key to making a perfect and tempting fruit salad is to use the best of fresh fruits available. The frozen, tinned or canned fruits are the biggest enemy of this salad. The fruits dipped in an artificial flavor and glazed with some kind of sweet syrup are not the right ingredients for this recipe. I think a good fruit salad deserves an effort to handpick the fresh fruits from the market. It brings so much joy in buying the favorite fruits and then turn them into a gorgeous bowl of salad. The dressing for the fruit salad has to be simple. Because we want the natural sweetness and the tanginess of the fruits to shine out. Let’s not overshadow the naturally good taste of the fruits with a loaded dressing. That is the reason a simple lemon and honey syrup is the best dressing for this salad. And of course, the fresh mint leaves add just the right breath of freshness to the salad. Making it altogether more pretty and delightful. 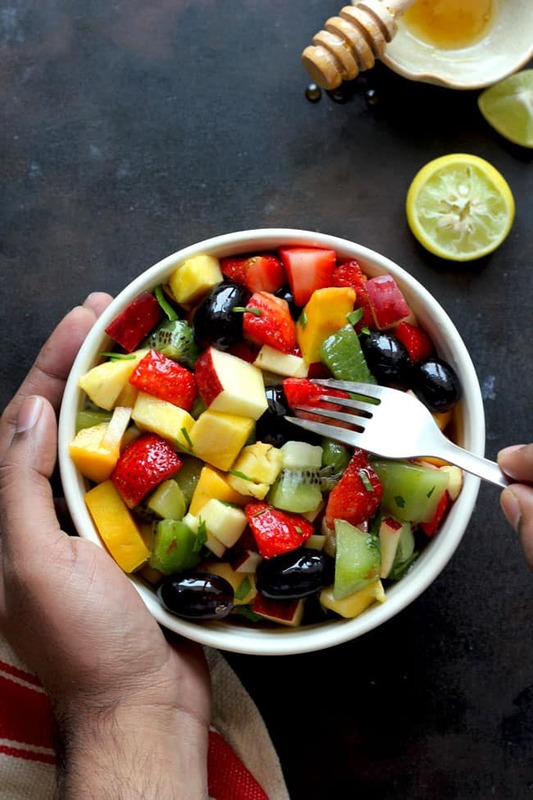 What I like most about this fruit salad is – it can be enjoyed during any hour of the day. 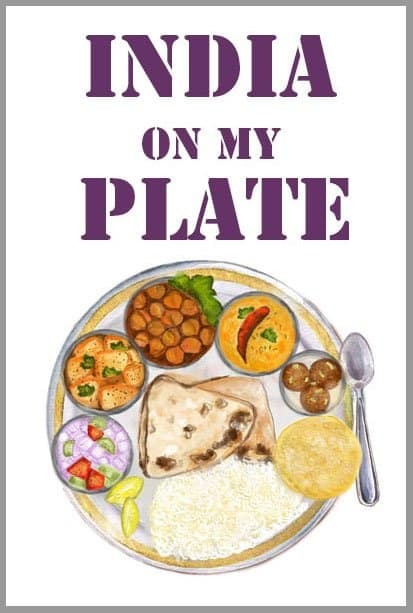 You can have it for breakfast, lunch or for an evening snack. And it is probably the best way to include tons of fruits in an everyday meal plan. Fruit Salad is the best gluten-free, vegan and paleo friendly healthy salad recipe bursting with summer flavours. Learn how to make salad with fresh fruits in few simple steps. To prepare the dressing combine lemon juice, olive oil and honey. Whisk nicely. Set aside. 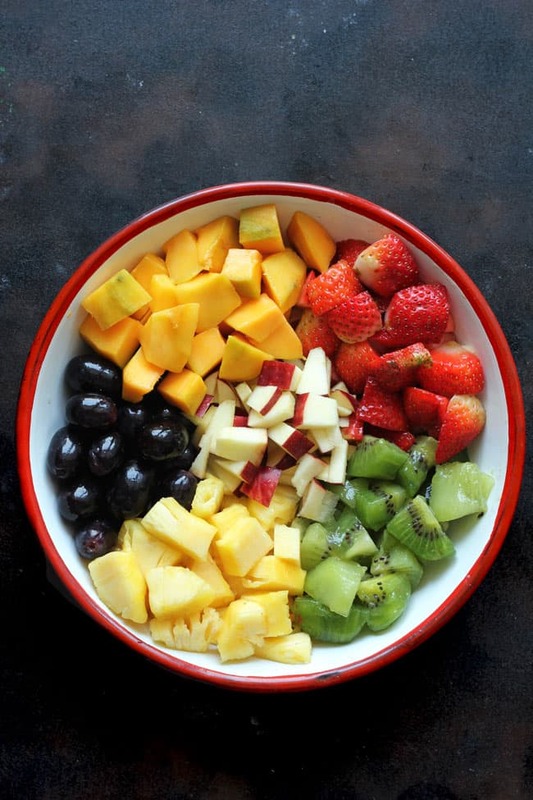 Combine all the fruits in a large bowl. Keep in the fridge before serving. Just before serving pour the dressing over the fruit salad. Mix nicely. Sprinkle the chopped mint leaves. Serve Summer Fruit Salad immediately with a tall glass of homemade iced tea ( see recipe ). Avoid using tinned/canned fruits for the fruit salad. 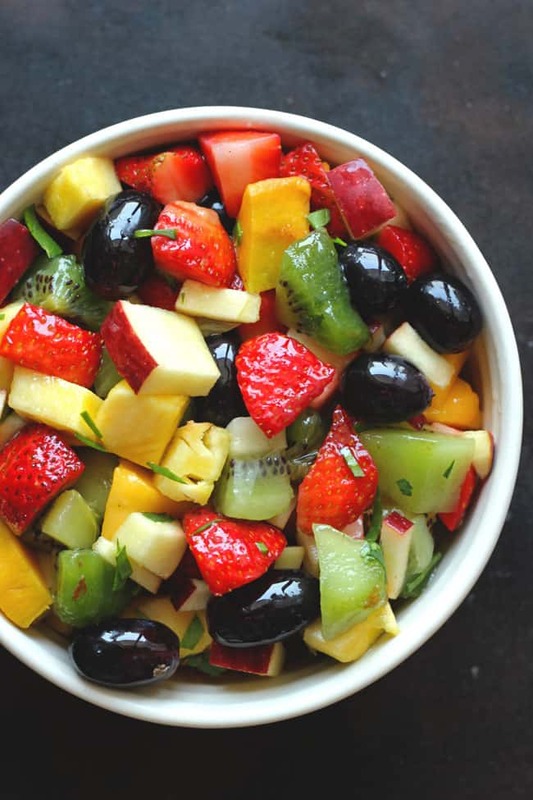 Fresh fruits are the best to make a delicious salad. I usually use Borges Extra Virgin Olive Oil. It is best to use extra virgin olive oil for dressings.